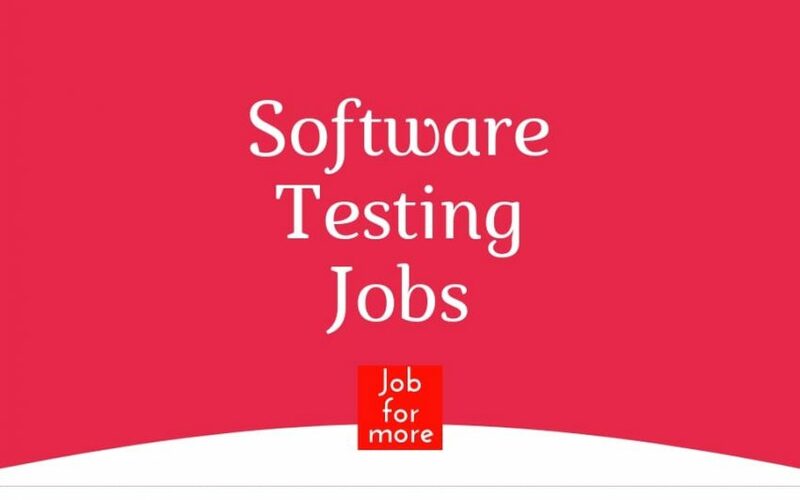 Are you looking for Manual Testing Jobs in Bangalore, Chennai, Hyderabad, Gurgaon, Mohali, Mumbai, Noida, Gurgaon, and Chandigarh?? Storage SAN, NAS, DAS, Disk Types (SSD, HDD, etc), Disk enclosures, RAID, LUN, Zoning, etc..
Embedded BIOS, Loader, Firmware, Drivers, etc.. Automation Knowledge mandatory – Perl. Experience in Functional testing, Regression Testing, Stress Testing. Experience on NetApp filers will be an added advantage. We are looking for Manual QA with the following requirements. requirement Analysis, Test case writing, Test execution, and reporting defects. Good business knowledge around Derivatives such as commodities/FX/Options etc. Must have prior working experience on Platforms (Storage Domain). Experience working on NetApp filers will be an added advantage. Automation Knowledge is mandatory On any of the scripting languages. Candidate should have done 6 months industrial training. Excellent communication skills, ability to work independently. Indegene is looking for a talented Test Engineer to complement the team. Working under the digital production QA group, the Test Engineer will be primarily responsible for validating end-to-end needs for a variety of key customer-facing applications (viz) Banners, Websites, iDetail and e modules with strong analytics reporting experience. Interact with project management and development teams to develop a strong understanding of the project and testing objectives. Work closely with manager to make sure business requirements have corresponding testing processes and approach in place. 5 years of Applications development or quality assurance testing experience required. 3 year of automated test/ load tools (i.e. Selenium), knowledge of testing methodologies. Experience creating and implementing test environments for a client-server or distributed system involving relational databases. Experience creating detailed test cases/ scripts for technical and/ or business clients. Experience creating functional and technical documentation. Strong experience with manual testing, testing tools, writing test plans, and reviewing test cases. Shore Infotech India Private Limited. Minimum of 2- 5 years of experience in software quality assurance. Minimum of 2 years experience providing requirements and ambiguity reviews. Minimum of 2 years of requirements based test development experience. Experience with BDD tools preferred (Cucumber, Gherkin, SpecFlow, etc). We are looking for someone with 8 years of experience in software development and automation using relevant skills. 0-5 years of hands-on experience in Test Automation using. Python: Hands-on with Pytest, Pexpect, Pycharm, XLRD Packages. Java: Hands-on with Selenium Java, TestNG, JUnit, POM, Maven. 0-5 years of hands-on experience in Core Java, Python Programming and Manual Testing. 0-5 years of hands-on experience with Tools: VB Script, Cygwin, JIRA, Jenkins, GIT, MKS. Hands-on with Networking Fundamentals using TCP/ IP, Socket Programming. We are looking for a Manager – Quality Assurance to help us keep a check on the quality of products. If you are passionate about quality and want to help make an impact in our organization then we have a perfect role for you! Good focus for delivering high-quality products and passionate about learning new technologies. Should have the passion for Manual Testing, Test Planning, Test Cases, Preparation and Execution. Should be good with writing Functional, Integration, and Regression test cases from the analysis of requirements document. Bachelor in Computer Science or related Engineering field. Utilizing Microsoft ALM solution (MTM, Visual Studio, CodedUI, C#, TFS) develops an automation framework to enable testing of .NET n- tiered systems and embedded software. Develops automation framework using industry renowned automation tool – Selenium/ CodedUI/ QTP tool to test at multiple application layers including mobile, web, services, database and embedded systems. More than 2 years experience in manual testing with proficiency in creating high-quality test cases and scenarios after understanding business requirements. Experience coding Unit Tests/ Integration Tests/ System Tests/ Regression Tests/ API Tests and test execution using an automation framework. Should have good experience in Functional testing of Web APIs using Postman, SoapUI etc. Should have experience in writing automation scripts using Selenium and executing them periodically. Experience in writing Performance tools such as JMeter / Load Runner etc. Should have good experience in writing detailed test cases and manually execute. Understand and follow testing standards and procedures. Should have worked in an Agile development environment. Kronos Solutions India Pvt. Ltd.
Work closely with the Engineering team to design, test and deliver Kronos Workforce applications. Identify, Develop, document and execute test scenarios/ test cases based on business rules and data mapping to ensure quality product releases and compliance to requirements. 3 5 Yrs. IT industry experience working with product companies and top-tier service level organization. Hands on experience in ETL, DWH and BI Reports testing. Experience with software test automation tool(s) is an added advantage. Good experience in test management tools like ALM, JIRA.